Brass fixtures add sophistication and style to any room. 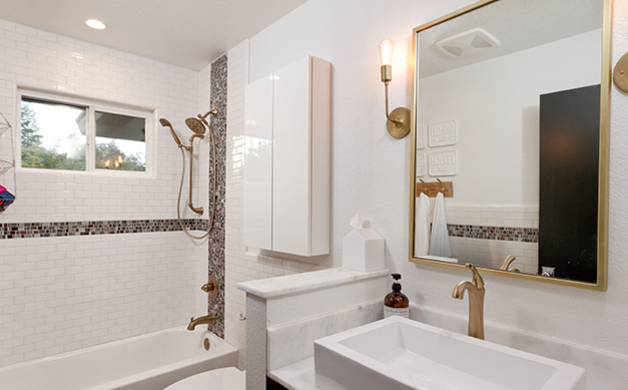 We especially love them in this bathroom against the white walls and fun tile accent. This chic bath would be an amazing addition to any home. Who says you can’t put a bright Turkish textile on Moroccan-inspired tile? 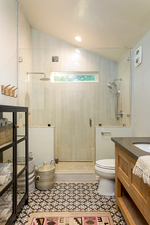 This bathroom is the perfect blend of Bohemian living, with its warm, natural elements and great mix of pattern. 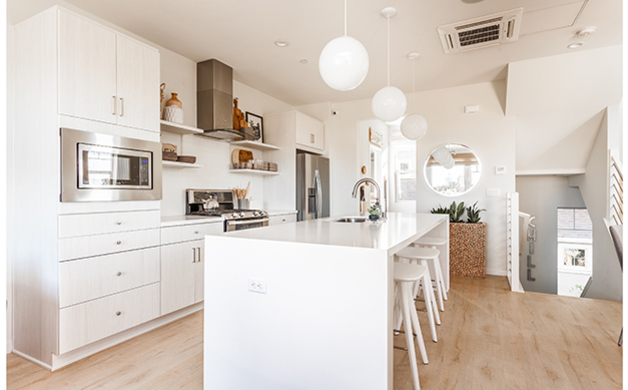 Clean, crisp, sleek and bright are just a few words that come to mind when staring at this drool-worthy kitchen. We love ourselves a white wall, and this fresh and modern space is proof that white is oh-so right. Leyla Jaworski photo by Dante Fontana. Boho Style and Brass Bath photos by Chad Davies. White is right photo by Travis Turner.